Ken Takahashi’s musical root is in the abundant music scene in the 60’s and 70’s. He started writing songs in high school inspired by Bob Dylan and Neil Young. He made his debut from Canyon Records in 1979. 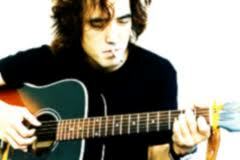 He released two albums and performed actively while writing for a film,. However he stopped singing after the single “Sayonara Lonliness” discouraged by the commercial music until he cowrote “Mary Ann” for Alfie with Toshihiko Takamizawa and started writing for other artists. In 1986, he released his first album in 5 years “Freedom” and started performing. He has written and produced for a lot of artists such as Ayumi Nakamura, Kaori Kawamura, Izumi Kato. He has a unique status as a singer-songwriter/producer.